19 June 2018-Tuesday, Bern Switzerland - UNITAR participated in a one-day workshop with UNIDO and colleagues from seven countries from the West African region (Benin, Burkina Faso, Guinea, Mali, Niger, Senegal and Togo). 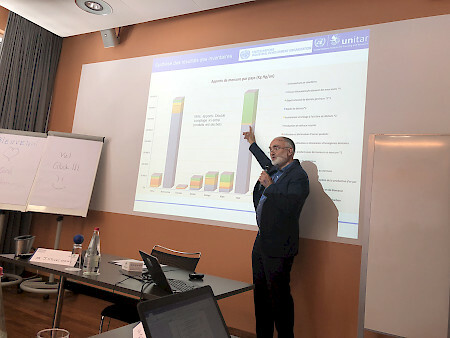 These seven countries, as of June 2018, had almost completed their Minamata Convention on Mercury Initial Assessment (MIA) Reports, and this workshop served to outline some of the main lessons and outcomes from the projects, as well as think about next steps in the sound management of mercury in this region. The countries outlined several priority areas stemming from their MIAs, including a need to focus on waste containing mercury, artisanal and small-scale gold mining (ASGM), national and regional coordination, legislation development, and awareness-raising. Jakob Maag, from UNITAR, presented on the major findings from the mercury inventories of emissions and releases, as one of the leading world experts on such work. In addition, Nathalie Roebbel, from the World Health Organization, presented on health aspects of ASGM and medical products containing mercury. Furthermore, to facilitate the sharing of experiences, Isabelle Baudin from the Government of Switzerland outlined the current legal framework for waste management in the country and some of the initiatives that support its implementation. 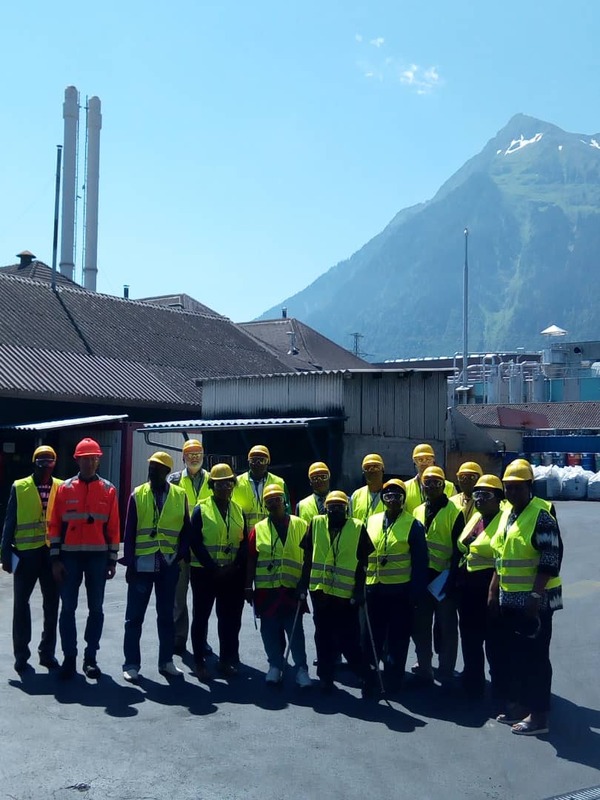 To complement the workshop, the UNITAR team and fellow participants visited the Batrec Industrie AG (PLC) premises in Wimmis, Switzerland, on 20 June 2018. Batrec is a recycling company that specialises in the sustainable disposal of hazardous waste, in particular batteries and mercury. This study tour has great relevance for countries seeking to fulfil their obligations under the Convention, particularly as part of comprehensive, domestic waste management schemes. Batrec has offered a tour of its premises on several occasions as a way to share information on their solutions to hazardous waste disposal issues. 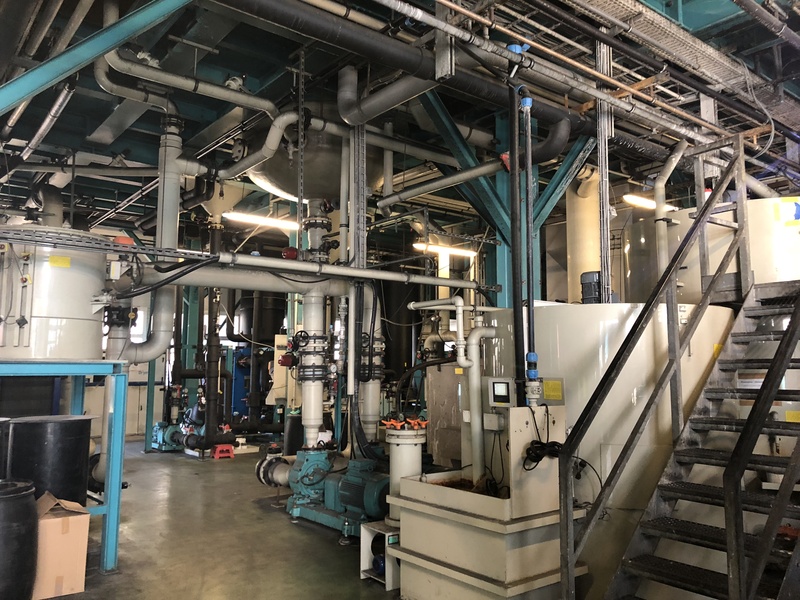 The two days of interaction with the seven countries and UNIDO was successful in building on the relationships developed during the MIA projects and is a positive step for more work on the sound management of chemicals and waste in this region.